Let us talk about cost: it is always about either making more, investing more or saving more. Why would you pay for something that you can get for free? Apple Music requires you to pay about $10 while you can access other streaming services for free such as Spotify which offers unlimited streaming on desk-top devices. There is also Pandora which is famous for internet radio. For lyric videos and official music I can use Vevo. I can also choose to abandon streaming other than switching to a different streaming service considering what the internet offers at no cost! Like I said it’s all about saving more. While Apple Music gives its services at $10, you can get up to 50% discounts using Spotify or Tidal if you are a college/ university student. With offers of up to $4.99 a month and unlimited streaming of up to 30 million songs while saving $5 every month; there is absolutely no reason for me to subscribe to Apple Music ever again! I love having my music in order to make selection of the music that I want to listen to at a particular time easy. Apple Music streaming does not support this preference. How? 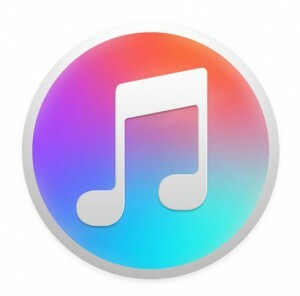 When creating a playlist in Apple Music it is required that you add the same music to your music library playlist. You see? Disorganized! I do not want my playlists mixed! That is something that I can easily accomplish with Spotify. Are technical gadgets better gifts than non-technical? There is nothing more personal than a gift; other than conveying a message it depicts the givers attitude, appreciation and feelings towards the receiver. Declining to give a gift to deserving receiver is also a gift depending on how you look at it. Well that is a topic for another day. When we talk of technical Xmas gifts it simply refers to gifts peculiar to or characteristic of a particular art, science, profession, trade, etc. Technical simply means it can offer what a non-technical gift can offer and much more. Who doesn’t want more? If you buy her a gold-dipped natural rose she can keep it with her for a long time to remind her of that special moment, unlike a fresh rose which will wither in a matter of days. Browse more Xmas gift ideas for her. It would be a bit unfair to walk into a sports shop and pick the first ball you stumble into, unless of course it is the gold-dipped golf ball and a tee set or something close to that. While this ball can serve the same purpose as the others it has a unique and sophisticated artistic twist that shows that you put some thought and effort into your gift. Suppose a video game which has been rated by reviewers as high quality and has state of the art 3D graphics. Unfortunately, this game has a large learning curve. It requires at least a half a day learning how to play. In such a case a less technical video that has been rated as being of normal quality with average graphics and is easy to pick up and play with friends is more preferable. The technical aspect also depends on the receiver; will the technicality of the gift be beneficial to him/ her? 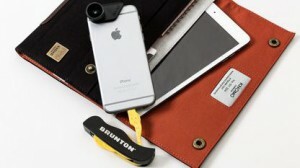 Contonue Reading Are technical gadgets better gifts than non-technical? 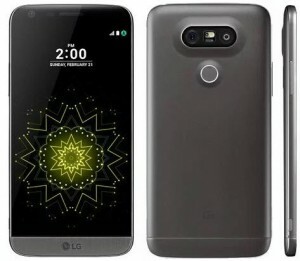 The LG G5 is one of the latest versions of the new LG phones in the market and are selling out, it was first launched in UK on 8th April 5, 2016 and arriving in the US on 1ST April 2016 at a cost of $629. It is the first make from Southern Korea. It is small and easier to hold, reaching its corners is possible. It is Nano sim tray. It does not only have a huge name but it has a sleek, premium design, a QHD screen and an improved camera. It contains 820 processor 4GB of RAM.A front facing camera of 8mp with a normal angle. You can double tap the display to wake the device.